Digital Illustration: Diversity & Inclusion - Your stories. Our drawings. Engaging, inclusive, diverse digital illustrations. Millennial leisure travelers like group vacations. And as THE MOST diverse generation in American history, they demand that ALL their traveling companions are treated with respect. That includes LGBT friends as well as their friends of color. Businesses that understand how important diversity is to this group of leisure travel consumers are reaping benefits. 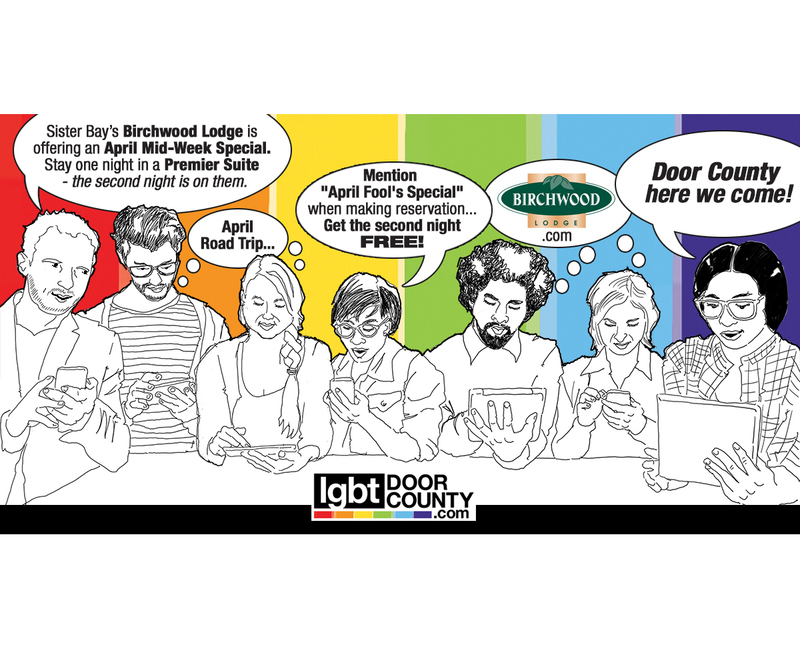 LGBT Door County helps Door County, Wisconsin businesses embrace these principles, with the end goal of creating inclusive communities. And as we’ve seen on a national scale, inclusive communities are communities that experience economic growth. We Draw Ideas provides engaging, inclusive, diverse, creative rich media content for package design, advertising and graphic recording clients. Is your business ready to welcome diversity? If the answer is yes, contact We Draw Ideas founder Barb Luhring today!